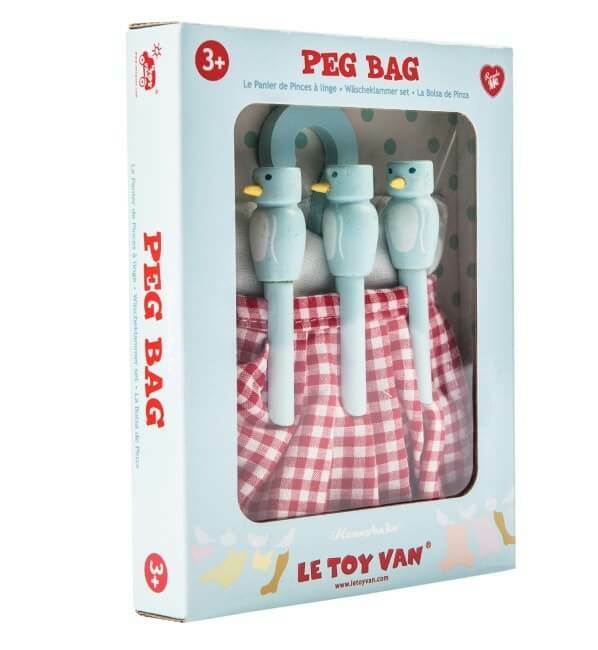 The Le Toy Van Peg Bag is designed to allow kids to get stuck in with the ‘chores’ – since they often want to have fun doing the household tasks they see the grownups around them doing. 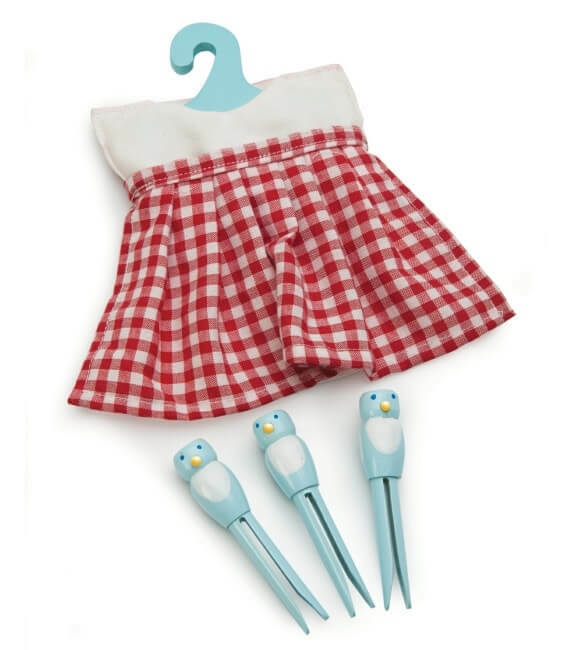 A bright and cheerful peg bag holds three bird-shaped pegs, ready to hang out dolly clothes, or any other bright fabrics your little one loves to play with. This toy set is part of the exclusive Honeybake Range from Le Toy Van.